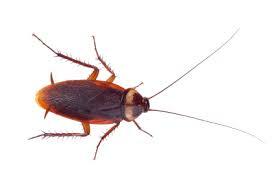 ​​Cockroaches are known to carry diseases - salmonella - dysentery - gastroenteritis. The way in which they can spread these diseases is through contact with your food, utensils etc and also through the spread of pathogenic organisms through their faeces and secretions. Even the cleanest of homes are not immune to cockroach infestations. Cockroaches and their eggs are spread throughout Cairns in food and other packaging. Even the cleanest of homes can become infested with cockroaches due to tiny deposits of grease, sugar and other food deposits in difficult to get at places, in drains, behind refrigerators, dishwashers, and inside cracks and crevices. Cockroaches will eat almost any organic matter no matter how disgusting, once inside your home they will seek out food scraps, unsealed food containers, sugar and grease deposits and even eat each others faeces. 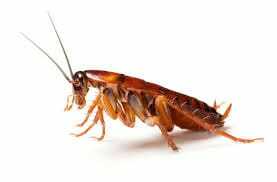 Cockroaches are nocturnal feeders meaning that you will most likely see them scurrying around at night when you get up and turn a light on. They are known to rest during the day in any dark warm harbourage they can find like wall cavities, roof voids and cracks and crevices in the kitchen and bathroom. At Pest Off Solutions, we use the latest in technologies to rid your home of these nuisance pests, from cockroach gels, dusts, chemical sprays and monitoring devices. The treatment consists or targeting all the harbourage areas cockroach like to nest and all the areas cockroach are likely to come into contact with while they're scurrying around your homes at night. Here is some brief information on some of the more common cockroach species we deal with here in Cairns. One of the largest cockroach species to enter homes the American cockroach is the most common in the Cairns region. You will generally find this cockroach living in your kitchen, bathroom, and laundry areas. About 35-40 mm in length they are known as good flyers and can enter your home at night through an open screen door, or come in boxes of stored goods. Similar in appearance to the American cockroach, the Australian cockroach isn't as common indoors as the American cockroach, it generally prefers the outdoors and can sometimes enter homes during the cooler months to find a warmer harbourage. About 23 - 35 mm in length they are a paler brown compared to their American cousins. The German cockroach is common in commercial premises and found around kitchens and any other area of high moisture and humidity. About 12 - 15 mm in size they are one of the more difficult to treat with normal household sprays proving useless in stopping this pest. Similar in size to the German cockroach, 10 - 15 mm in length they are quite often seen by themselves up on a wall somewhere. They don't require the same levels of moisture and humidity as the German cockroach so they can be found throughout the home under furniture and behind wall hangings. ​If you'd like some tips and info on how to help prevent Cockroach infestations, click on the link below.